Read on for all the fun happening this season in Michigan's Great Southwest! 'Tis the season for goblins and ghouls! We're excited to host our annual Halloween Trick-or-Treat in the Benton Harbor Arts District and downtown St. Joseph on Tuesday, October 31st from 4:30-6:00pm. Head to each location for a wicked good time! 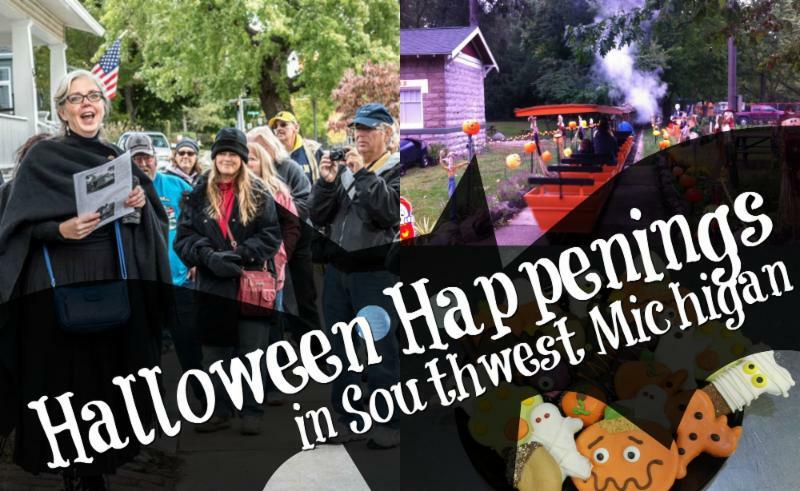 Click here for more Halloween-themed fun in Southwest Michigan. show! It features 280 exhibitors, marking a premier Midwest show. Check it out at the Berrien County Youth Fairgrounds from 8:00-4:00pm! We're looking forward to the Journeyman Distillery's Autumn Artisan Market, too, coming up in November. Mark your calendars! Saturday, October 14th is the 5th Annual Ft 4 Fall 5K! Benefitting Hospice at Home, LOGAN Autism Learning Center in Southwestern Michigan, and the Alzheimer's Association, this is a great event to participate in. For more fall running/walking fun, we recommend you check out Southwest Michigan RACERS upcoming Chili Hop 5k, Ella's Rainbow Walk to Remember, or the Pumpkin Harvest Hustle!